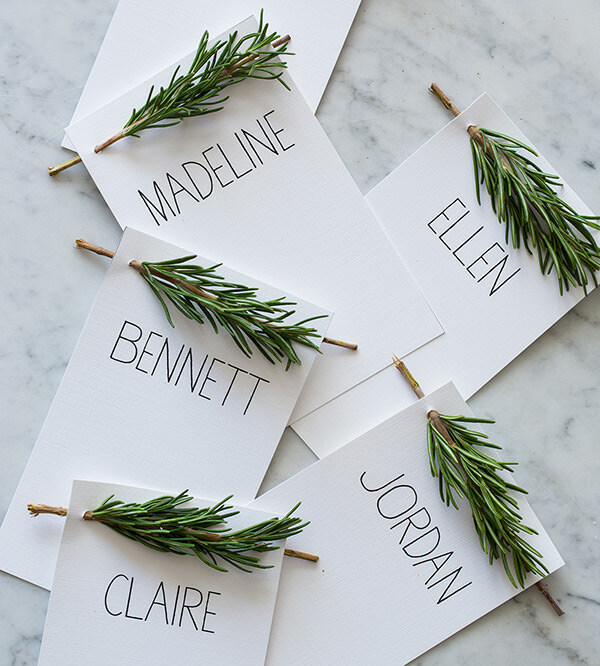 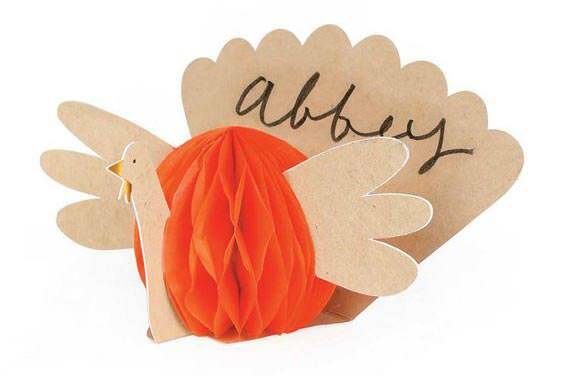 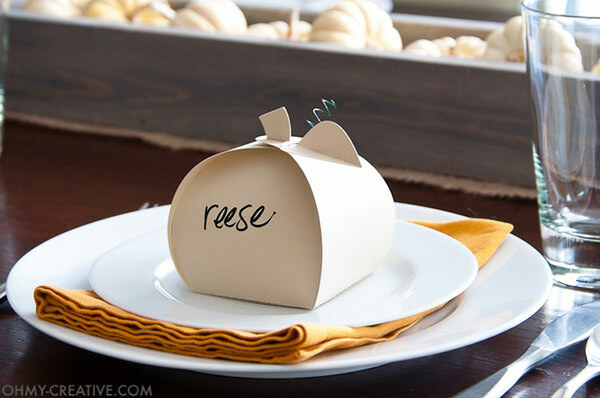 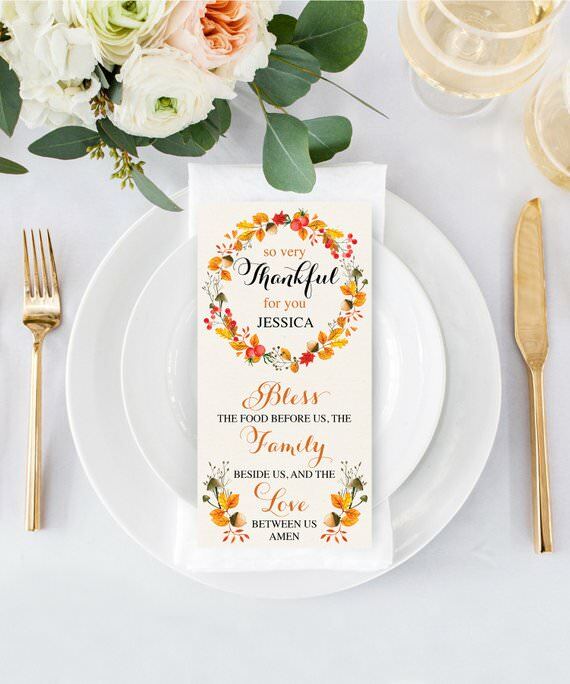 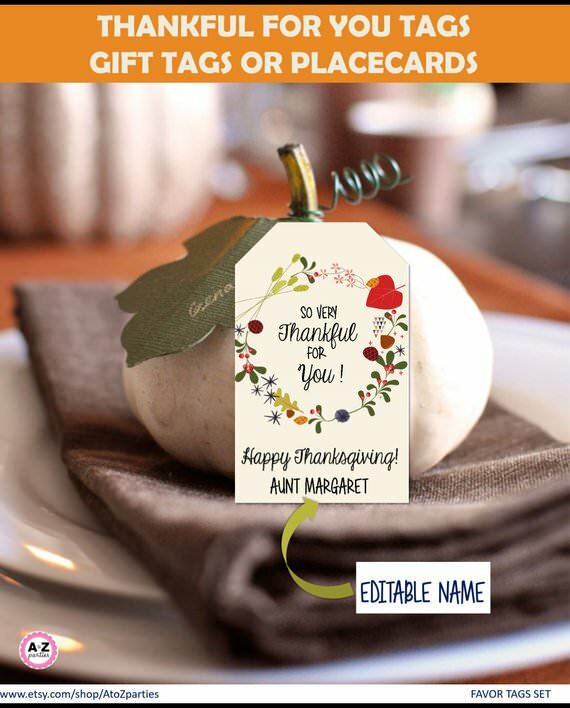 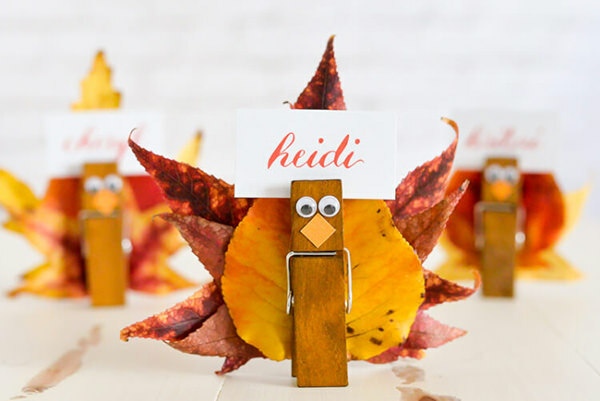 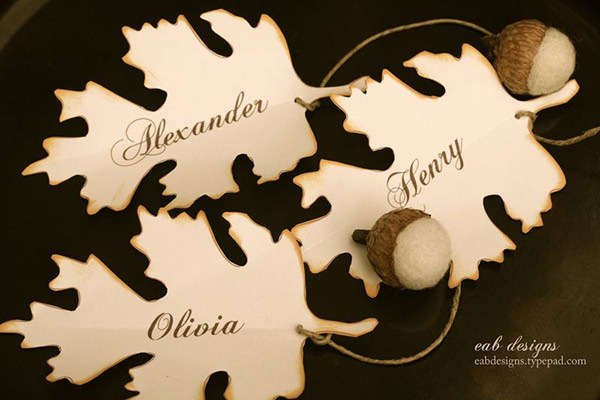 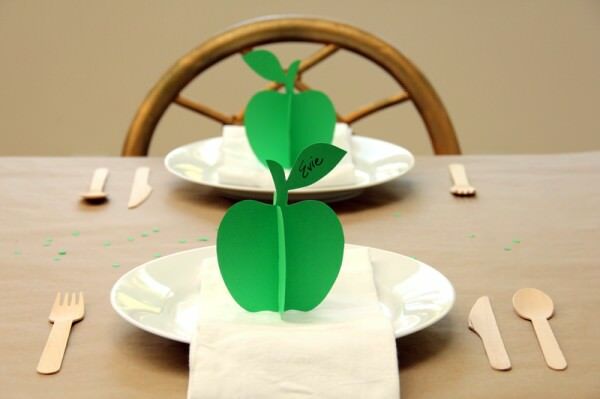 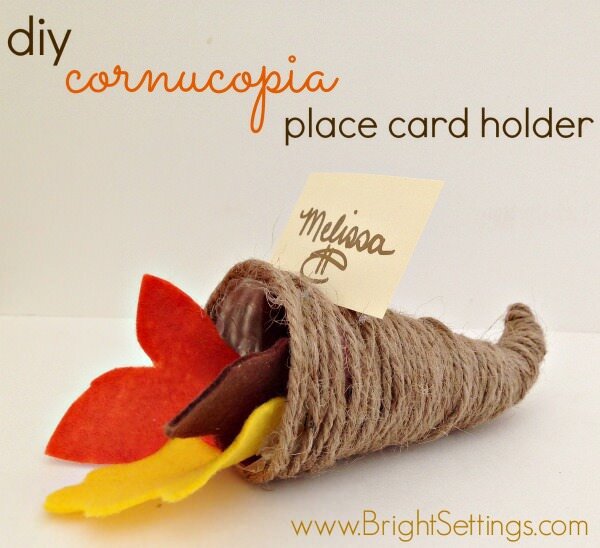 31 Awesome Thanksgiving Place Card Ideas - Press Print Party! 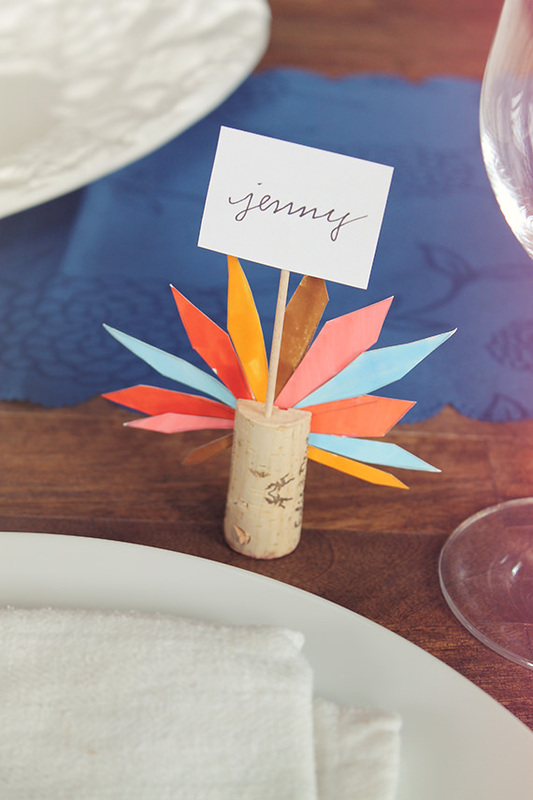 Don’t you love setting up a beautiful table for Thanksgiving? 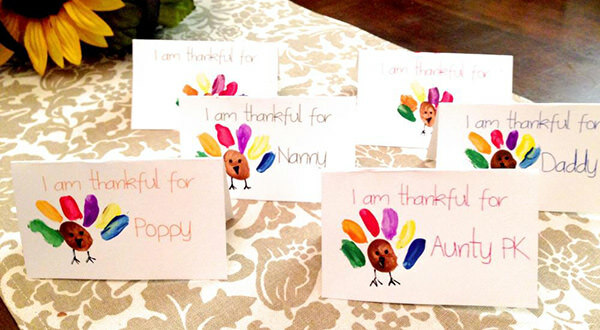 Every year I’m amazed at all the wonderful blessings I have and the beautiful family God has given me. 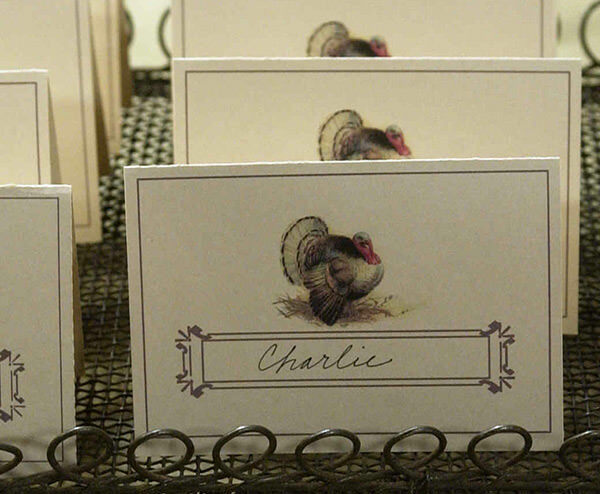 It makes Thanksgiving a special holiday worthy of a little extra attention. 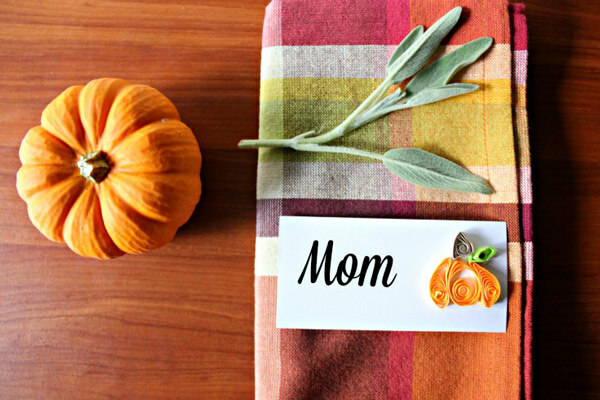 So setting the Thanksgiving tablescape is something I treasure. 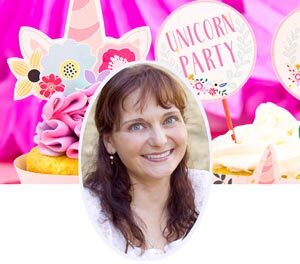 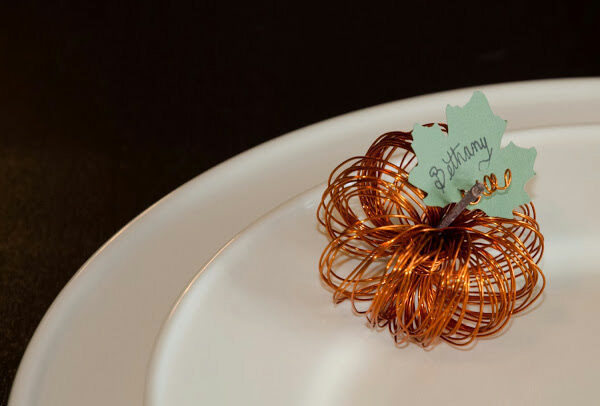 And a place card brings it all together. 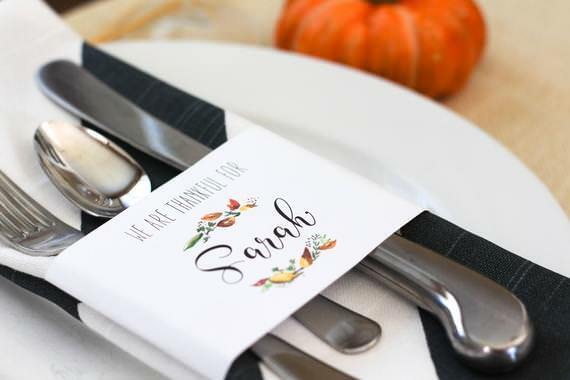 Seeing your name in print, knowing that the host considered you and gave some thought to your seat really makes you feel like somebody cares. 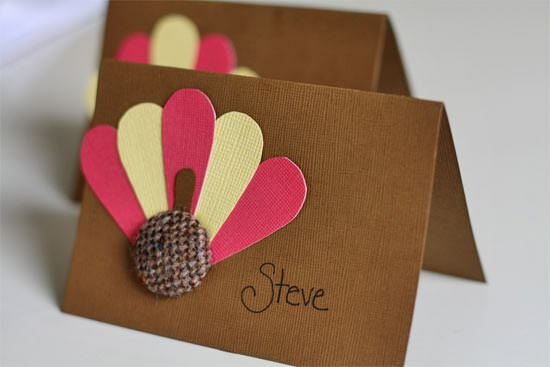 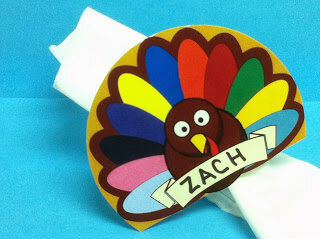 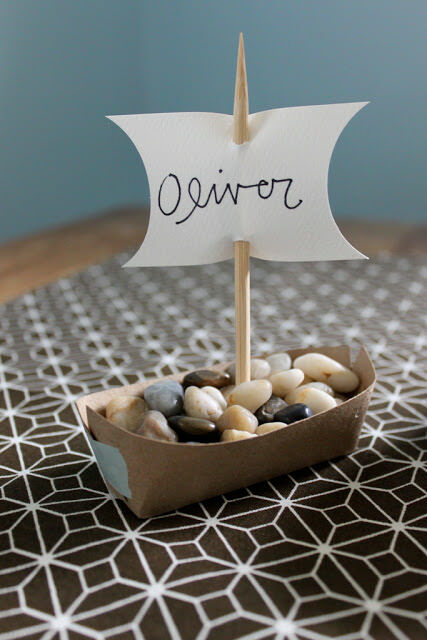 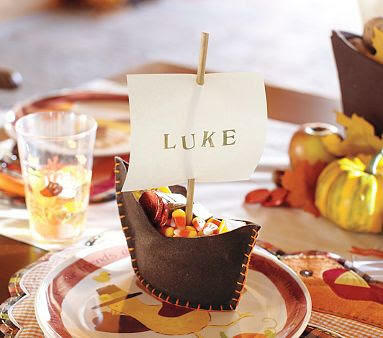 So I’m pleased to present nearly 3 dozen different place card ideas for that special Thanksgiving table. 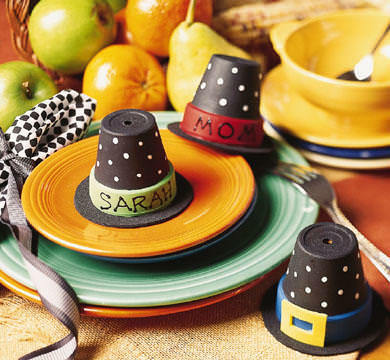 I broke it up into categories, turkeys, pumpkins, and all the rest. 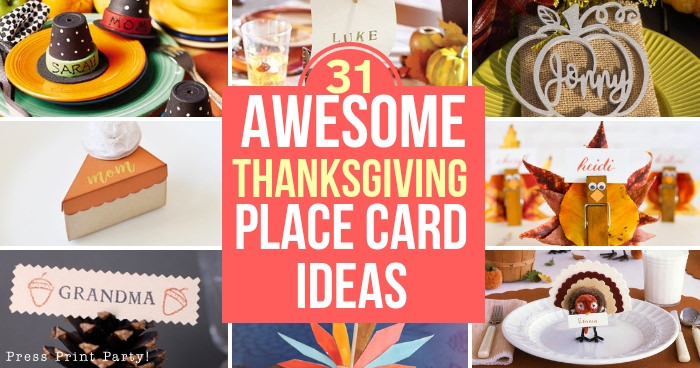 Some are DIY, some the kids can craft, some are printable, and some are complete the moment you purchase them. 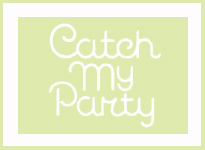 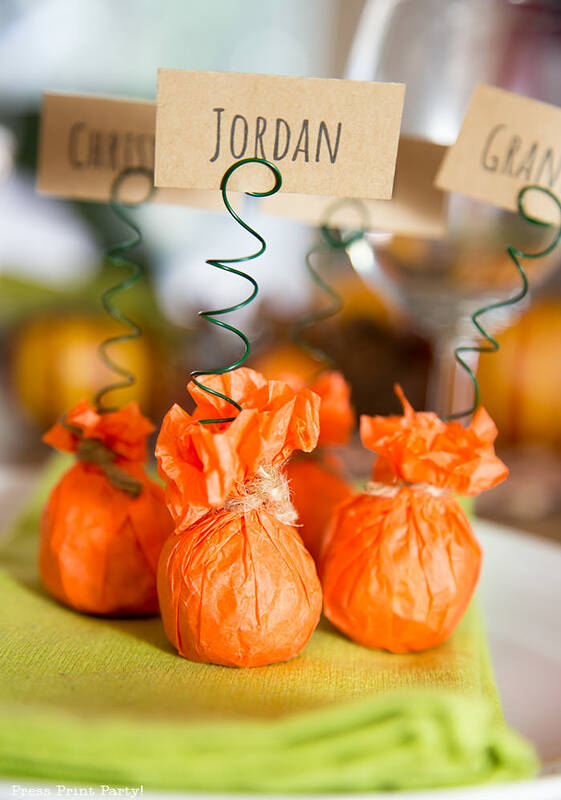 A bunch of them also will also have little treats for your guests! 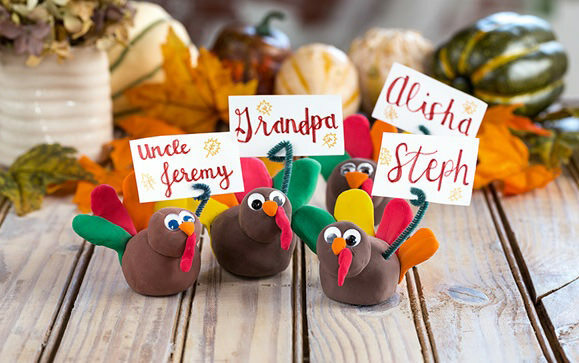 Turkeys are a classic and many of these place cards can be made by kids, which can be a great way of including them in the family traditions. 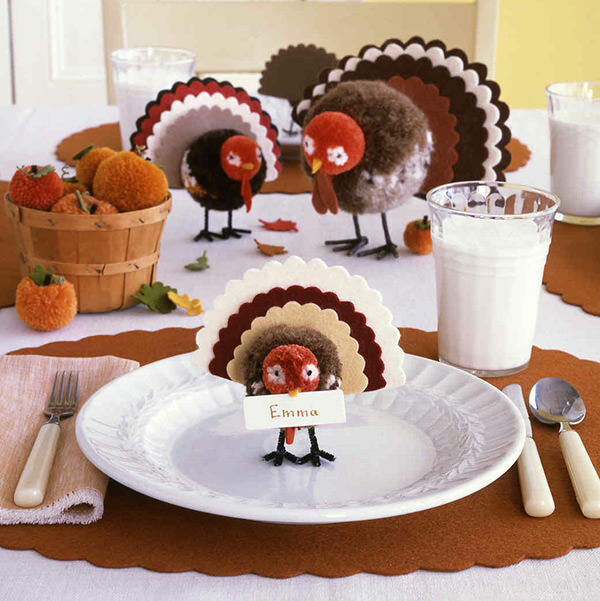 Turkeys can never be taken too seriously and always bring a little fun to the table. 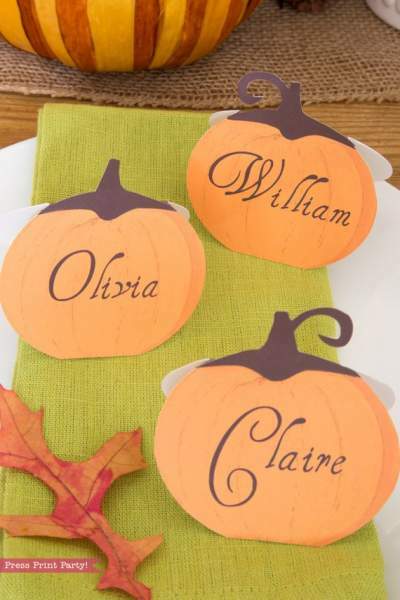 Pumpkins are also a classic and a beautiful addition to any fall table. 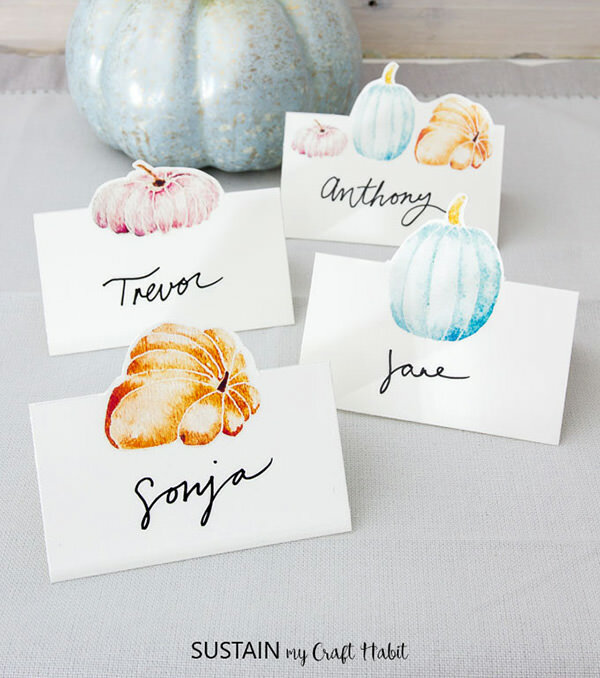 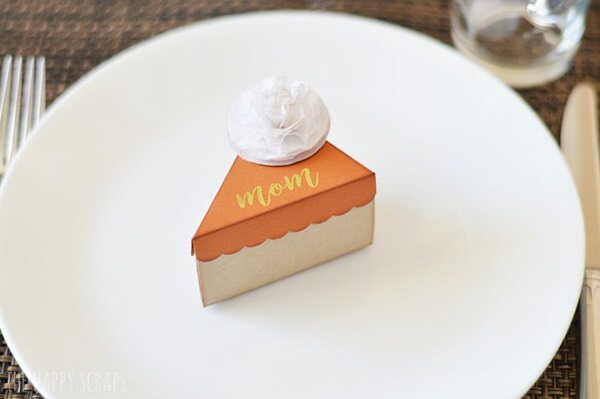 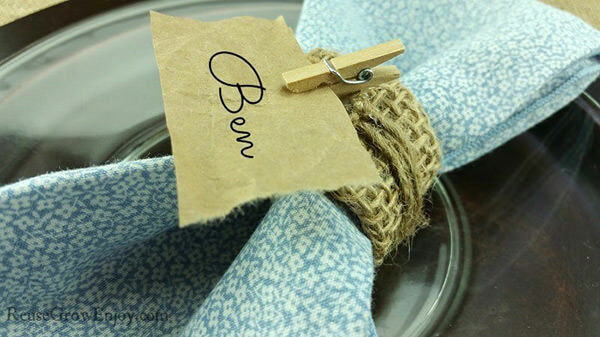 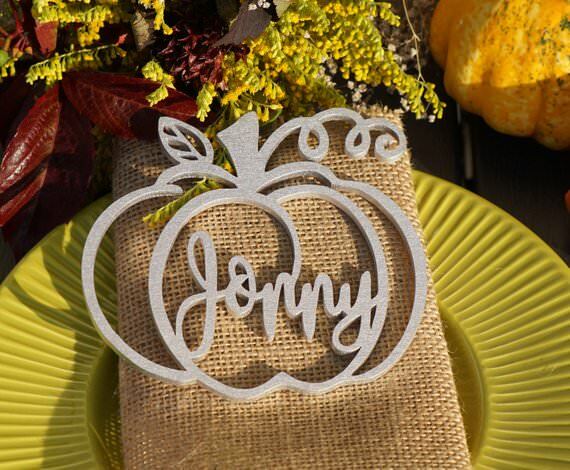 DIY Mini Pumpkin Place Card Holders w. a Surprise Treat | Press Print Party! 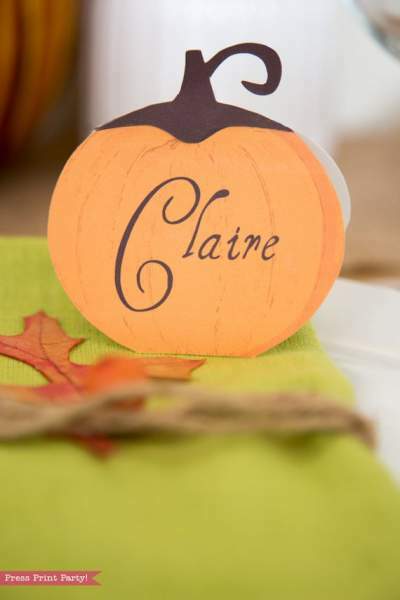 Rustic Pumpkin place cards Printables | Press Print Party! 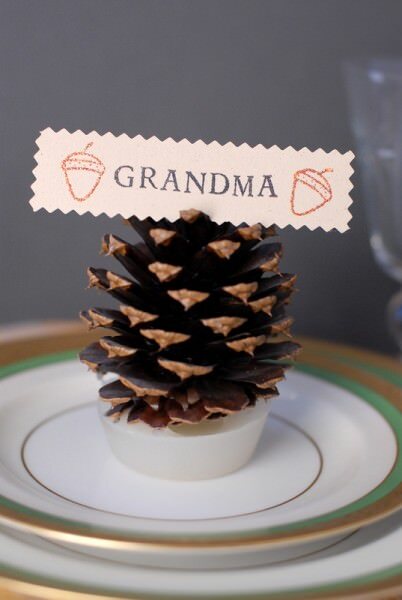 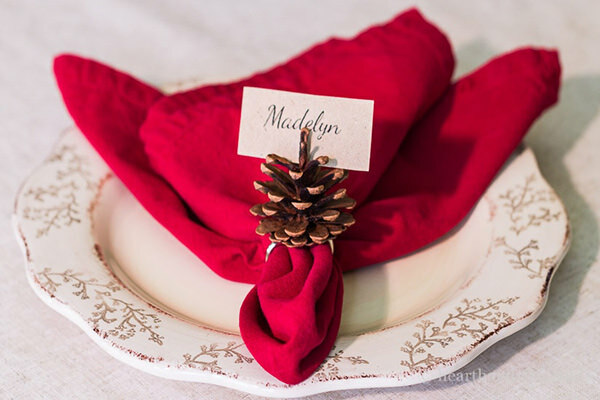 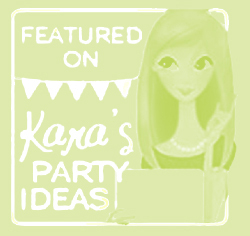 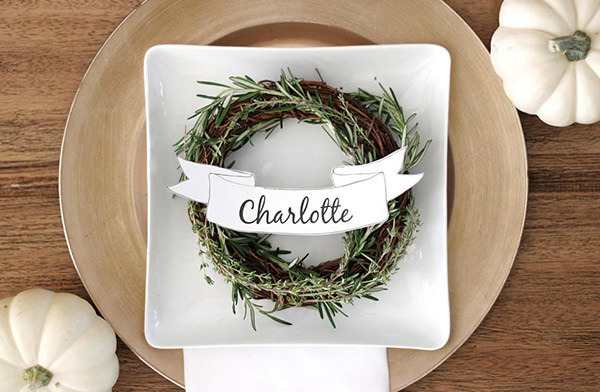 From pilgrims to pine cones to printables, you’ll find some really clever ideas in this lot.